Trees require maintenance throughout the duration of their life when they are featured in your landscaping. Without it, they can lack sufficient nutrients and suffer ailments, along with disease, become a safety hazard or encroach on your home and potentially be the cause of property damage. Trimming your trees is an essential part of that maintenance. With Bell Tree Services, we would like to list the various tree trimming services that may be applicable to your trees. Trimming your trees can improve the esthetics of your tree, the overall health, and strength of your trees. Let’s expound on these three things a little more clearly. Deadwooding is a common reference to trimming trees that have dead or dying branches in need of removal. Removing the dead or dying branches not only increases the strength of the healthy branches, but it also allows them to shine and be the focus again. This is another tree trimming method to increase the appearance of your trees, by strategically removing the lower branches to allow more sunlight exposure. Proper care and maintenance usually need to follow this method, as trees are weakened briefly as the lower branches can impact the health of the trunk and if left neglected after removal it can succumb to decay and disease. Directional pruning is designed to give the tree structural balance while maintaining a preferred shape. Removing the tree’s limbs or branches that are showing signs of disease can increase its chance of survival by allowing the nutrients to disperse to the healthier areas. If a branch has died off, the tree continues to send valuable nutrients and water to it in an effort to replenish it. In so doing, the excessive dispersal prevents the rest of the healthy tree from getting the needed moisture and nutrients, which can induce more branches to die off. Removing the dead or even dying branches can improve the trees strength. Trees that become overwhelming top heavy, have sick, or dead branches lose structural integrity. 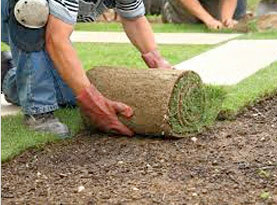 During a storm it can easily be knocked over and pulled from roots or broken off at the roots. Removing the branches to create balance, or if the limbs are sickly or dead can greatly improve the trees strength to more adequately hold up in a storm or protect itself from disease and pests. Professional trimming services are ideal after an intense storm with strong winds and large volumes of lightening. Branches can be hit by lightning or torn asunder from violent winds. If you should notice any of your trees have been inflicted by a heavy storm, invest a storm damage removal cleanup tree trimming service. 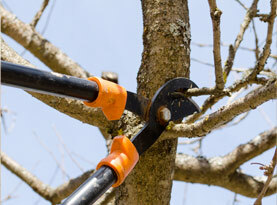 Removing these weakened branches can avoid serious injuries and costly property damages. In the event a tree becomes too dense, a brush thinning tree trimming service is optimal. It will reduce the top heaviness, and give more balance to your trees. 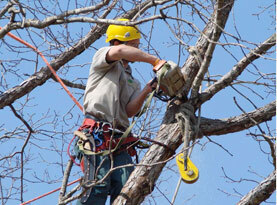 Bell Tree Services has trained and experienced tree trimming experts. 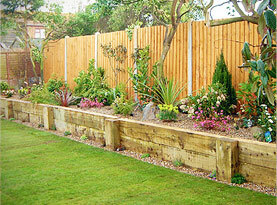 With our advice and application in their area of expertise, your trees can improve dramatically. You, your loved ones and property can be spared any falling branches. Call us today to schedule your tree trimming appointment!